It is that time of year again when you pull out the warm winter jumpers and there is a chill in the air in the morning. It is also the time of year my kids seem to be struck down with colds and flu’s and in my youngest daughter’s case, a nasty throat infection. Nothing is better for the sickly people that a good Chicken and Butternut Squash Soup. 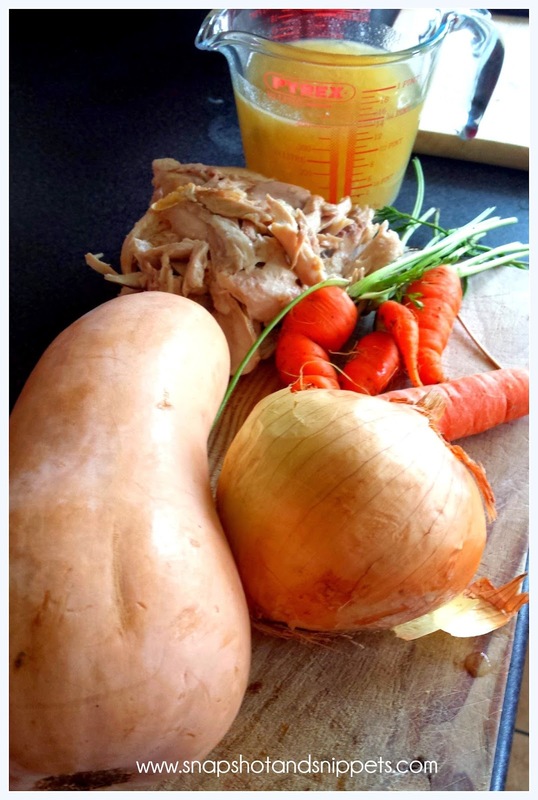 This tasty Chicken and Butternut Squash recipe uses leftovers from a roast chicken so there is no waste and it is very economical. 4 small Carrots or 2/3 big ones- peeled and chopped into cubes. Leftover chicken – I used the meat we had after a roast chicken the night before. 3/4 pint of Chicken Stock either made from a cube or throw the roast chicken in a pot after you have finished with it with some herbs and make your own. Salt, Pepper and Chilli flakes if you want an extra kick of warmth. 1. Place the chopped onion in a pot with the olive oil and cook until softened. 2. Add in the butternut squash chopped into cubes and the carrots – sweat the vegetables on a medium heat to release the flavours. 3.Add the chicken buy cheap avodart 0.5 mg stock, water, and the cooked chicken and bring to the boil. 4.Season to flavour and turn the heat down and simmer the whole lot in a pot for half an hour or until the vegetables are soft. 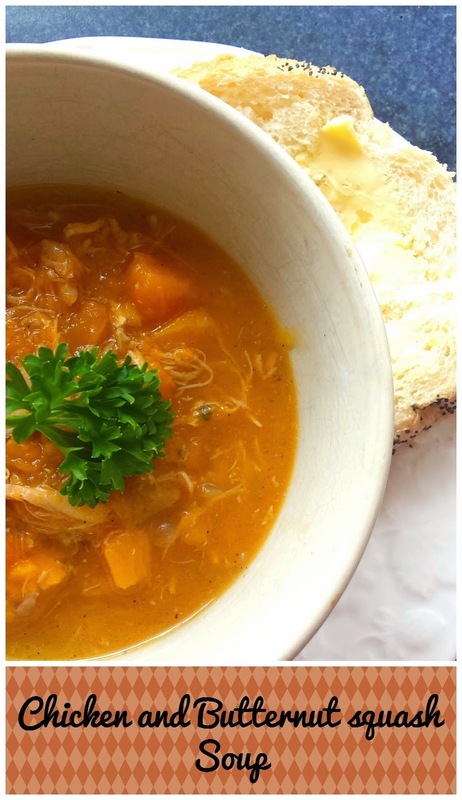 If you prefer a veggie version leave out the chicken and use vegetable stock instead of chicken stock it makes a gorgeous smooth soup. If you are looking for more types of recipes or anything else on Snapshot and Snippets why not check out my Start Here page. Or you can sign up for my Snapshot and Snippets NewsLetter below for access to my latest Recipe Ebook. I love butternut squash! This soup looks divine and perfect for that chilly, fall weather! Thank you for linking up with #FoodieFridays!